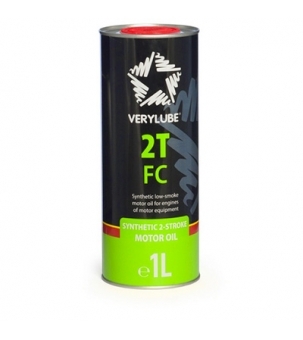 Synthetic low-smoke oil for two-stroke engines of motor equipment. Applied to engines of motorcycles, scooters, snowmobiles, lawn mowers, chainsaws, gasoline power stations and other motor equipment with air or water cooling. Specially developed for two-stroke engines operated at maximum loads and high temperatures. Effectively protects the engines by short-time overloads. Due to the low-smoke formula, keeps the engine clean and prevents soot formation in the combustion chamber and exhaust ports. If the manufacturer does not state otherwise, XADO Atomic Oil 2T FC should be used for engines with mixed lubrication system as a mixture with fuel in ration of 1:50.